My husband has been seeing another woman — and I LOVE her! Her name is Donna, and “she” is actually a personal assistant app named after the amazing assistant character Donna Moss from The West Wing. She’s like Siri for less tech-savvy people. Easy. User friendly. No awkward training required. She just works! The hubs was chattering on and on about her, so I decided to give her a whirl, and seriously — life-changing. 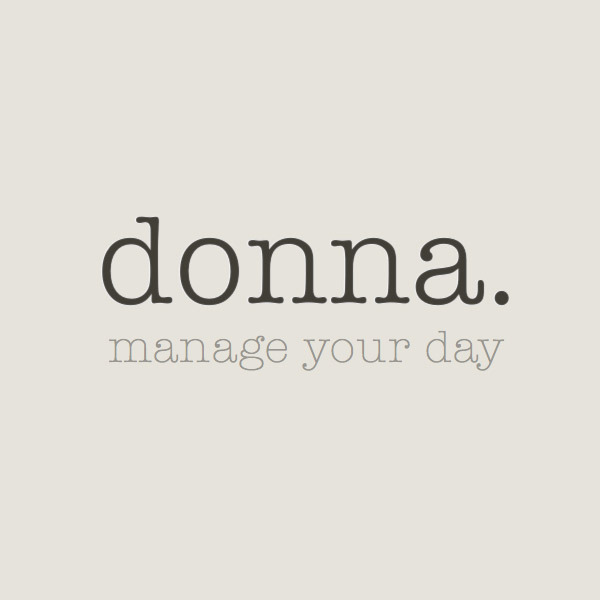 In the same way that timers & daily routines changed my productivity habits, Donna has changed my scheduling. What makes her so amazing? 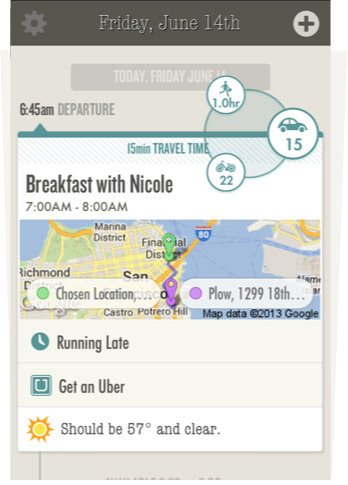 She syncs with all of the “stuff” on your smart phone: calendars, contact info, GPS, etc. She reminds you of appointments, checks traffic to estimate travel time, and checks the weather to let you know if you need an umbrella. She calculates when you need to leave so you’ll be on time AND THEN SHE REMINDS YOU!!!! Did you hear that? She PREPARES & REMINDS you!! Every scatterbrained, sidetracked person on Earth just gave a little “Yippee! !” before getting distracted by a squirrel! Seriously, Donna is the coolest. She’s intuitive, so even if you don’t know an exact location, she can guess & help you figure things out. In addition to detailed directions, traffic info, and parking tips, she can even send photos of the building you’re trying to find! If you have a conference call, she can dial it for you & handle any access codes needed to connect. 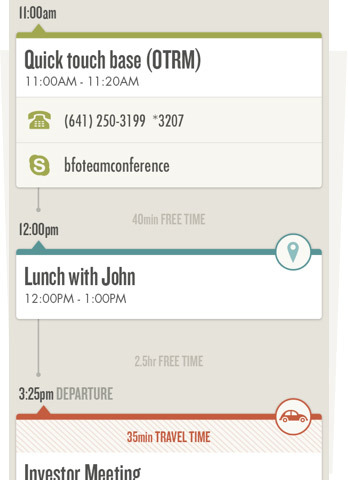 If you’re meeting with someone who typically runs late, she can send them a reminder to stay on track. 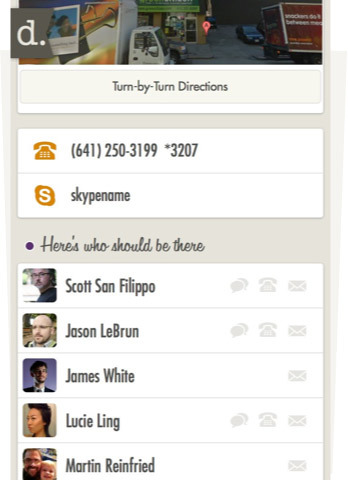 If you’re running behind schedule, she can notify the people you’re meeting to let them know what’s up. She can even book a car for you. 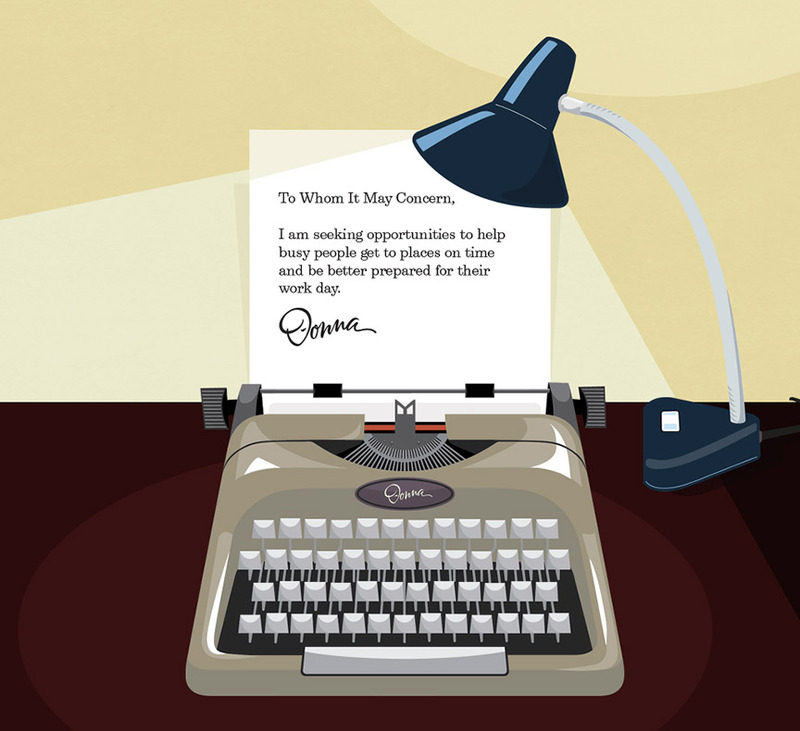 She is the closest thing to a real personal assistant that I’ve found in the app world! Beautiful design. Easy to use. Intuitive. FREE. This is one love triangle that I am more than okay with! Are there instructions some where because I’m having a little trouble. It is not showing me directions. Thanks. Hey Donna! Here’s the website, Twitter (you can tweet questions), & Facebook (you can send a message or post on their wall). I hope that helps! Thanks for your wonderful post, it had me drooling. Sadly I am an android girl but even more devastating it is only available in the US. Ho hum guess we’ll just have to cross our fingers that they will take the geo-blocking off one day. 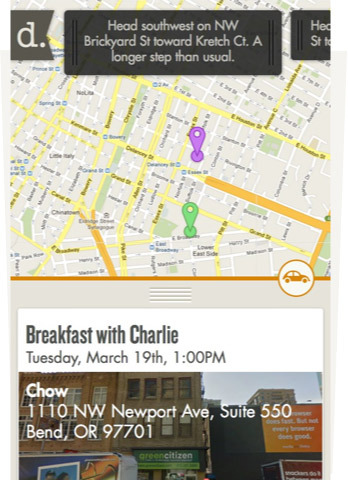 I haven’t played around with it yet, but IQTELL is Android-friendly & it looks pretty cool! Not sure about international availability, but it might be worth checking out! Thanks Casey. Yep, IQtell is available outside the US but doesn’t hold a candle to Donna *sigh*.